BEIJING, Jan. 31 (Xinhua) -- Wang Huning, a senior Communist Party of China (CPC) official, extended festive greetings to artists and scientists Thursday morning, on behalf of General Secretary of the CPC Central Committee Xi Jinping and the CPC Central Committee. 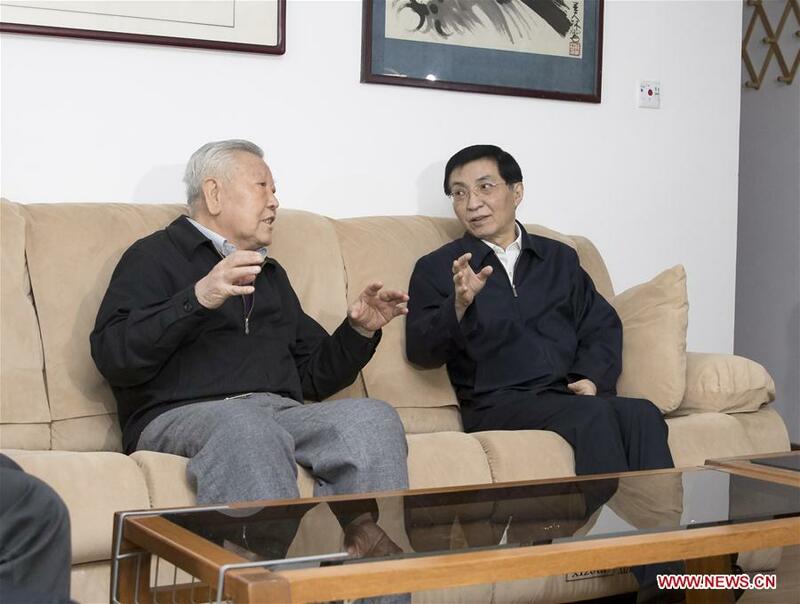 Wang, a member of the Standing Committee of the Political Bureau of the CPC Central Committee and a member of the Secretariat of the CPC Central Committee, visited several prominent artists and scientists and extended greetings ahead of the Spring Festival, China's traditional Lunar New Year. The artists and scientists included Jin Shangyi, renowned painter and honorary president of the China Artists Association; Zhao Zhongxian, leading physicist and academician of the Chinese Academy of Sciences (CAS); Ye Peijian, CAS academician and senior spacecraft expert; and 89-year-old Party history scholar Jin Chongji. They expressed gratitude for attention and care from the CPC Central Committee with Xi at the core and support to the Party's policies on promoting cultural and scientific development. Wang urged artists and scientists to study and implement Xi Jinping Thought on Socialism with Chinese Characteristics for a New Era, produce more fine works and make key technological breakthroughs.